In this book many of the prophetic words for 2019 have already started to take place. For example, the bridge collapse in Italy, the proposed resignation of Angela Merkel of Germany, the minimum wage allowance in SA, the riots in France…. 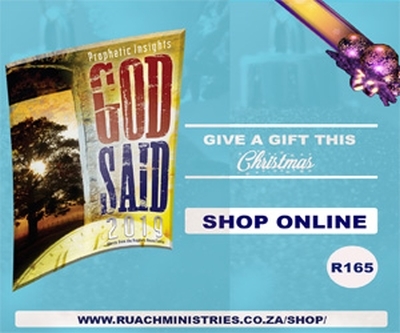 We really encourage every believer to purchase this book for the purpose of prayer and spiritual covering.